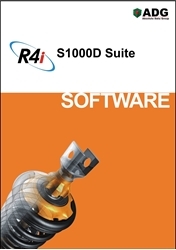 The Advanced Author with Arbortext Editor Package includes the R4i CSDB Client and R4i WorkSpace software installed on top of your Arbortext Editor v6 or 7 software and connected to a dedicated S1000D Common Source DataBase (CSDB) hosted in the OneStrand AIR Managed Cloud. Price listed is per user/ subscriber, per month. Email to support with a response time of 48 hours. Copyright © 2019 OneStrand LLC. All rights reserved.